Growing up in Brandon, Man., James Ehnes would pretend he was a hot-shot violinist touring in concert halls around the world and racking up awards. If anything, his fantasy was an underestimate. "Sometimes, I really do find I want to pinch myself and think, 'Is this really happening?"' Ehnes, 42, said in a phone interview. "I am one of those very lucky people that gets to do what I always wanted to do." Ehnes is being recognized for his pulse-pounding performance of a concerto that Pulitzer Prize-winning composer Aaron Jay Kernis wrote for the world-renowned musician. Having premiered at the Toronto Symphony Orchestra in March 2017, the sonically dense score reaches dizzying tempos that demand near superhuman dexterity of the soloist. But Ehnes said he was up for the challenge. "It's a really virtuosic vehicle for the violinist," said Ehnes. "The sort of technical demands [Kernis] puts on the player ... are pushing new boundaries for the technique on the violin." "I don't think I could have grown up in a better place for what I wanted to do," he said. "I got to grow up in a nice town with a nice, normal life and nice normal friends instead of having to be torn away from my family and go to some special school." His father was a trumpet professor at Brandon University, and Ehnes said the entire music faculty became like an "extended" family to him. Ehnes went on to graduate from Chaplin's alma mater of Juilliard, graduating to become one of the most sought-after violinists in the classical music scene. 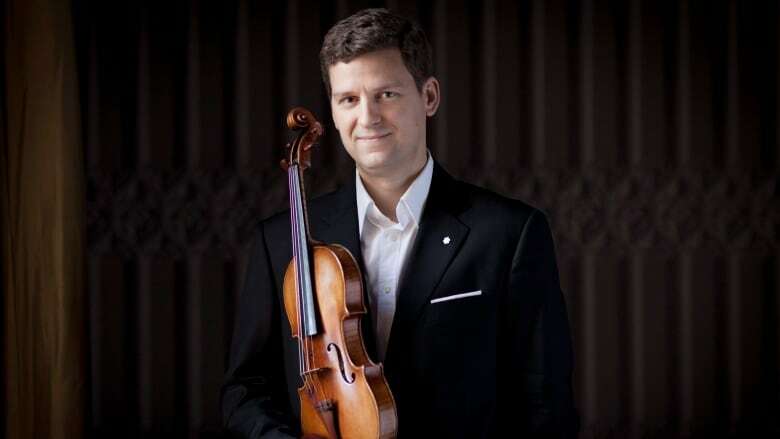 In his roughly 20 years on the international stage, Ehnes has performed in some of the world's most hallowed concert venues across four continents, including New York's Carnegie Hall, the Vienna Symphony Orchestra and the Los Angeles Philharmonic. "I love playing [in Canada] ... for these audiences who have known me for my whole career."